With over 20 years' experience, Essential Locksmiths is a trusted name in security. We provide complete home, automotive and commercial locksmith services in St Marys & Mt Druitt, and throughout the western suburbs. Essential Locksmiths is an award-winning local business with an experienced and dedicated team of professionals. Our mobile service comes to you for lockouts and emergencies, as well as repairs and installation. Call our friendly team for more. We specialise in all domestic and commercial situations, including restricted and master key system design and installation. Essential Locksmiths offers a full range of locks for doors & windows, padlocks, deadlocks, sliding glass & screen doors, garage doors and accessories in our showroom at 199 Queen St, St Marys. We cut keys, including car keys, in our workshop at St Marys or with our mobile service. We also provide specialist locksmith and security services for real estate, strata and property managers. Contact us about child window safety devices for strata complexes. 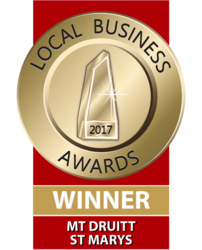 Essential Locksmiths prides itself in its response time and reliability in all districts covered in the Sydney & Blue Mountains Street Directory. Our locksmith services operate 24 hours, seven days a week and our prices are very competitive. With our company, good service is paramount. Department of Commerce/Public Works Certified. Essential Locksmiths St Marys holds a NSW Master Security Licence and are proud members of the Locksmiths Guild of Australia Inc.